It seems like it has been ages ago since “The Last Song,” Miley Cyrus’ coming of age film, which led her to an on and off relationship with then new actor, Liam Hemsworth. Two years after the movie, Cyrus and Hemsworth brought their relationship to a new level by getting engaged. While everything seemed alright for some time, the two subsequently ended their relationship a year after. “They are 100 percent back on, and that ring that she is wearing go to her Instagram @mileycyrus, she’s flashing the ring that is 100 percent the engagement ring from 2012 when she was engaged to Liam,” the E! News correspondent revealed. Prior to the viral photo, the two spent the holidays together in Australia and a source of E! News said that the two never lost touch even when they both seemingly headed to different paths after their 2013 breakup. It can be remembered that a day after the two confirmed their split, Hemsworth was spotted hanging out with Mexican model, Elza Gonzalez which had a lot of fans raising their eyebrows. However, the biggest change in terms of personality, at least from the outside, is from Cyrus – from her controversial MTV VMAs performance with Robin Thicke to her various outrageous outfits. At one point, she even seemed to have gone steady with Patrick Schwarzenegger for almost a year. 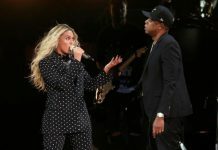 Now that the power couple is back together, fans are on the lookout on whether they will tie the knot this year or not.